What I Blog About When I Blog About Books: OPI "Every Month Is Oktoberfest"
Today's nail of the day is one from OPI's Germany Collection, "Every Month Is Oktoberfest" that probably would have been more appropriate to wear the previous month. But due to California's tendency towards two seasons rather than four, I held out on painting this polish on my fingers. I know maybe it seems silly to let the weather dictate what polish I wear. I just personally dislike wearing such dark colors when I feel like the day is bright, beautiful, and cheerful. 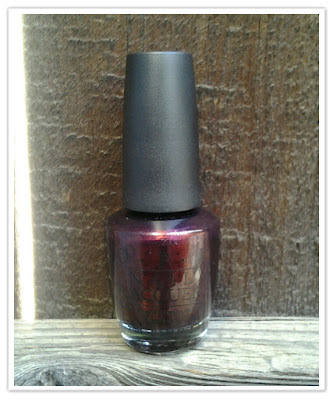 But anyway, moving on, this polish is a shimmery red in a dark purple base. 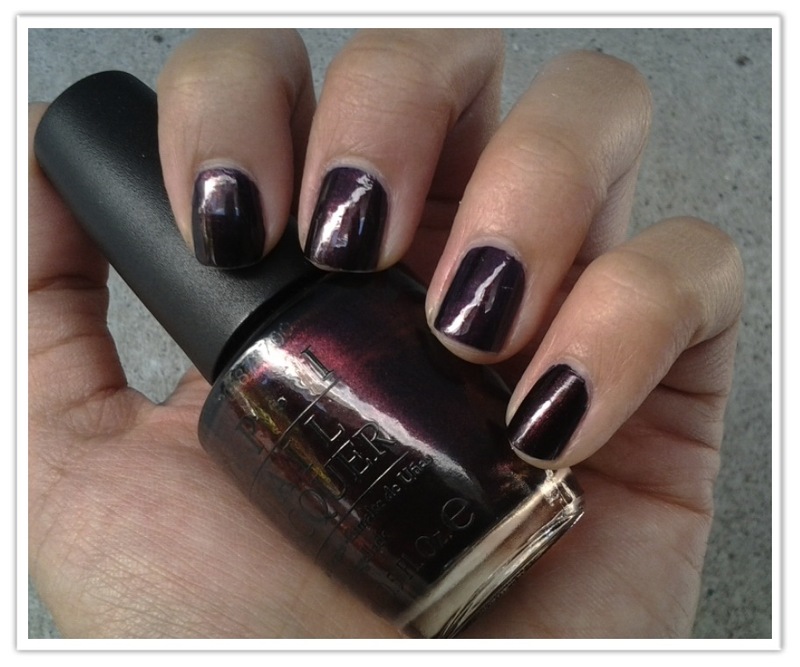 Though I don't wear polishes with micro-shimmers often, the one in this polish is what makes me love it. 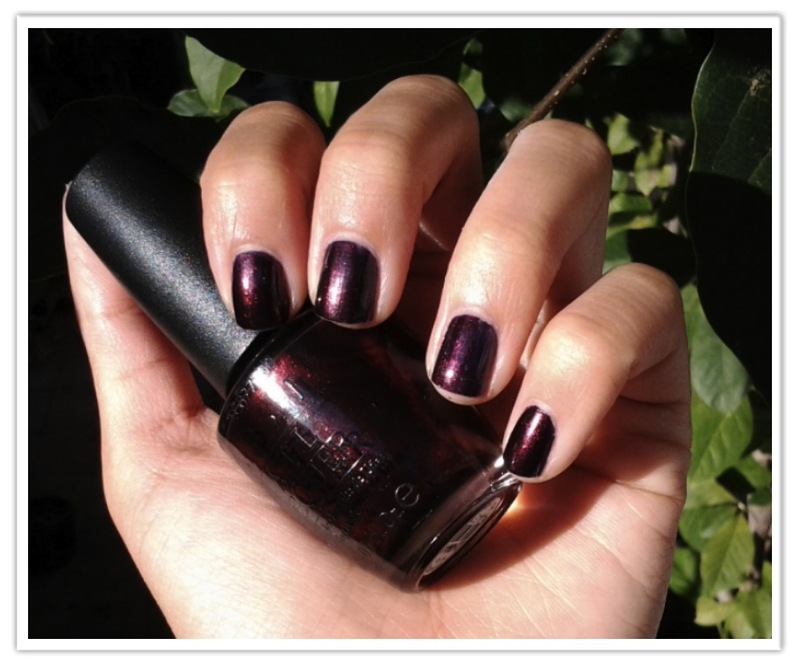 This polish is a perfect combination of deep purples and reds I can't imagine a better color for fall. I love that even in the shade you can tell that "Every Month Is Oktoberfest" is definitely not black. It has a shimmer quality to it that stands out even in the shade. However, looking at this polish in the sun is the best part. 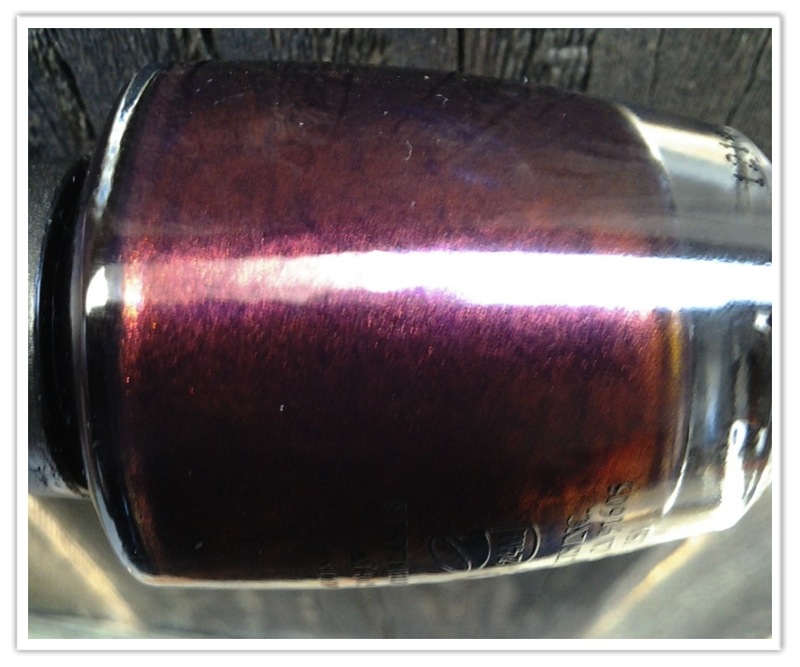 It is a gorgeous color. A definite repeat for fall and winter. The formula was decent as well. 2 coats did the trick. Final Verdict: I think this is one of the more unique polishes from OPI's "Germany" collection. Even if you don't love microshimmer polishes, consider checking this one out in person. It may surprise you like it did me. it looks great on you~ your nails are a bit shorter than usual? When I see someone w/ long nails and dark polish, I'm always reminded of evil Disney witches or stepmothers. So I always trim and/or file down my nails before painting them dark. It looks more clean, classic, and chic in my opinion.